The Mather Walls house was built by John Mather, a native of Scotland that emigrated to Canada in 1857. 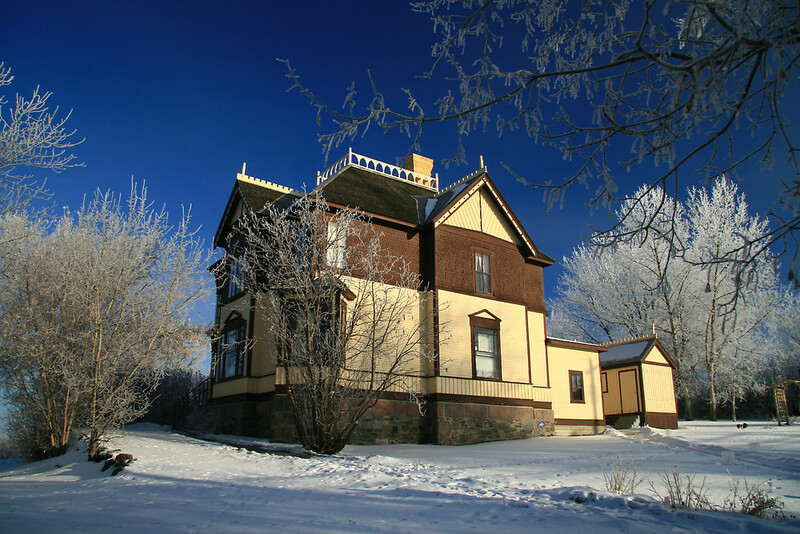 John built the house in 1889 and was one of Keewatin’s earliest pioneers. He built the house for his son David Mather. John was a shrewd business man and formed the Keewatin Lumbering and Manufacturing Company building a flour mill and a saw mill. In 1906, the house was purchased by John Walls, foreman of the mill. This house is a Queen Anne style Victorian house which has been featured in an episode of Creepy Canada due to the resident ghost which inhabits the home. Today the house is preserved by the Ontario Heritage Foundation and operated by the Lake of the Woods Historical Society. Tours are offered from May to September, six days a week, closed on Mondays. Every October local High School Students transform the house into a haunted house and tours are offered for three days the weekend before Halloween. You may even meet the real apparition in the house!